Aluminum profiles of extremely small thickness characterize the Delo system. 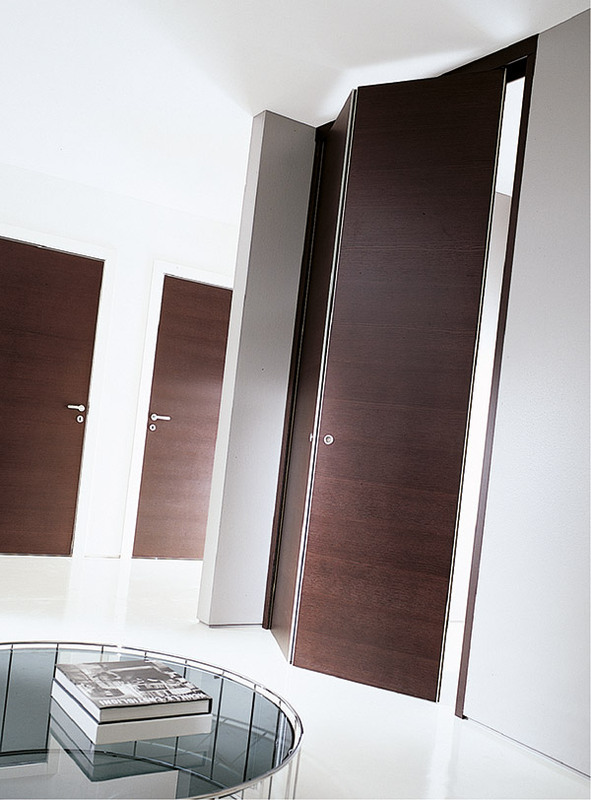 Functional and versatile, it can be fit into any environment, both in sliding and hinged version. 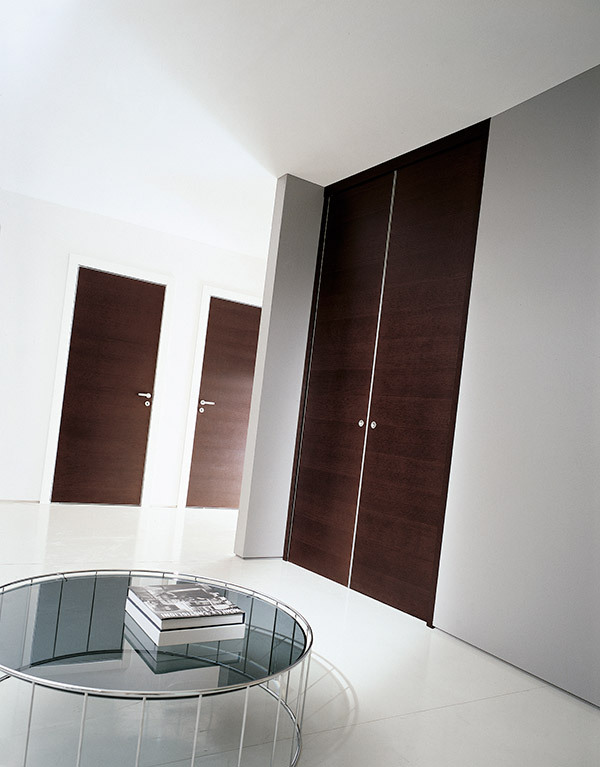 Pannelli con apertura a libro con finitura rovere tinto wengè e profili laterali alluminio.